What ideas do we carry with us in our pocket? 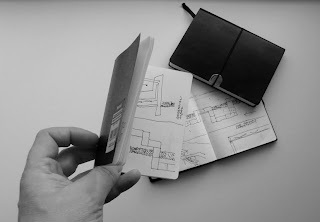 How do we use the ‘device’ of the personal sketchbook/notebook? How has its use changed with time and the digital age? Notebooks and Narratives: The Secret Laboratory - a new exhibition launching 4th Feb at PLACE.